I have been interested in people, feelings, and relationships since I was very young, and knew I wanted to be a therapist as soon as I learned what one was at age 14. After graduating with a Bachelor of Arts in Psychology and Women’s Studies in 1995, I moved from the midwest across the country to rural Oregon and began working with chemically dependent pregnant women. After a year of that I knew I was in the right field, and I then spent four years working as a counselor with teenage girls in residential treatment. It was also at that time, in my early twenties, that I began to explore the practice of yoga. Wanting to incorporate all that I was learning through meditation and yoga with psychology, I chose to pursue my Master’s degree in Transpersonal Counseling at Naropa University, which I graduated from in 2003. While at Naropa, I chose to focus on the intersection of human development along the pathways of attachment and spiritual growth. The program combined rigorous clinical training with contemplative mindfulness practices that are part of the foundation of my approach as a psychotherapist. While in graduate school, I dove into intensive training in Ashtanga yoga at the Yoga Workshop. After receiving my master’s degree, I worked as a primary therapist for four years at the Eating Disorder Center of Denver, and developed their therapeutic yoga program during that time. In 2007, I began working as an outpatient psychotherapist at La Luna Center, began my private practice, and completed the Sensorimotor Psychotherapy Institute’s Training for the Treatment of Trauma. I married my husband Jayson in 2007, and became a mother in 2009. In my first years as a mother, my interest in energetics and spirituality deepened again. I continued in my yoga studies and also completed Meditating with the Body, a body based meditation course taught by Reggie Ray, studied with Sandra Ingerman on shamanic journeying, and received my Level 3 certification in Reiki through Reiki Colorado. As I settled more fully into marriage and family life, I returned to my original interest in human development, attachment, and relationship. It was then that I discovered Stan Tatkin and his model for couple therapy. I began training with him in his approach, the Psychobiological Approach to Couple Therapy, in 2013, and am now Level 3 Trained. Additionally, I am on faculty for The Relationship School, which teaches a 9 month long class on the deep psychology of intimate relationships, founded by my husband, Jayson Gaddis. I am a regular guest on Jayson’s podcast, the Smart Couple Podcast, and helping to develop a course for young adults to give them the relationship education they need, but never got. I pursue training in cutting edge, research based clinical methodologies, as well as the transpersonal practices of meditation, yoga, and energy work. I utilize experiential modalities and body-centered approaches, such as Gestalt and Sensorimotor Psychotherapy, which I find deeply enhances the effectiveness of cognitive-behavioral therapy. My theoretical stance is informed by family systems theory, attachment theory, and developmental neuroscience, in addition to my contemplative and transpersonal training and studies. Most importantly, my family life deeply inspires me and my work. 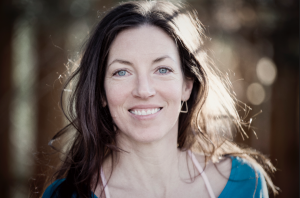 I live in Boulder, Colorado, where I maintain a part-time private practice while also parenting our two young children with my husband, Jayson.